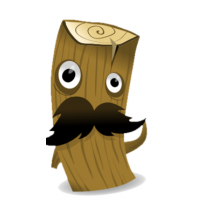 log4stash is a log4net appender to log messages to the ElasticSearch document database. ElasticSearch offers robust full-text search engine and analyzation so that errors and messages can be indexed quickly and searched easily. log4stash provide few logging filters similar to the filters on logstash. The origin of log4stash is @jptoto's log4net.ElasticSearch repository. Ability to analyze the log event before sending it to elasticsearch using built-in filters and custom filters similar to logstash. Navigate to breaking changes page here. See also Version notes page. Add - add new key and value to the event. Remove - remove key from the event. Rename - rename key to another name. Kv - analyze value (default is to analyze the 'Message' value) and export key-value pairs using regex (similar to logstash's kv filter). Grok - analyze value (default is 'Message') using custom regex and saved patterns (similar to logstash's grok filter). ConvertToArray - split raw string to an array by given seperators. Json - convert json string to an object (so it will be parsed as object in elasticsearch). Convert - Available convertors: ToString, ToLower, ToUpper, ToInt and ToArray. See config example for more information. Xml - Parse xml into an object. To add your own filters you just need to implement the interface IElasticAppenderFilter on your assembly and configure it on the log4net configuration file. I do my best to reply to issues or questions ASAP. Please use the ISSUES page to submit questions or errors. Almost all the parameters are optional, to see the default values check the c'tor of the appender and the c'tor of every filter. You can also set any public property in the appender/filter which didn't appear in the example. Thanks to @jptoto for the idea and the first working ElasticAppender. Many thanks to @mpdreamz and the team for their great work on the NEST library! The inspiration to the filters and style had taken from elasticsearch/logstash project. * Supporting .net core 2. * Using RestSharp for the ElasticClient instead of legacy code. * Update content-type in aws signing code. And thanks to: @zhengziying, @triarc, @prime8, @henkish, @mfpalladino, @ignasv, @wpgh, @Thecentury and @pnumainville for their contributions.